Australia will co-lead the Multinational Observation Group (MOG) for the 2018 General Election. 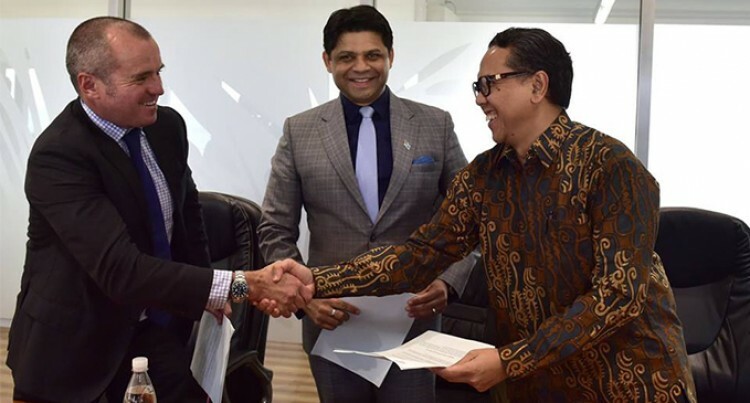 Acting Prime Minister and Minister responsible for Elections Aiyaz Sayed-Khaiyum signed the terms of reference for the MOG with the Australian High Commissioner John Feakes and the Indonesian Ambassador to Fiji Benyamin Scott Carnadi signing on behalf of the two countries. The Indian Government will be signing subsequent to the Indian High Commissioner returning from Nauru next week. Mr Sayed-Khaiyum said the term of reference of the MOG was put in place similarly in the 2014 elections. He said once the three countries had signed, the observers would come and the accreditation process would take place. The accreditation will be given by the FEO, they will also hold the various workshops for observers to familiarise themselves with the Fijian Electoral process. “We are indeed very grateful for the Australian Government in agreeing to be the co-leader of this MOG group,” Mr Sayed-Khaiyum said. “Australia is a leading democracy within the South Pacific region and of course has been seen as a benchmark in the Pacific Island countries for a number of decades. “We are equally grateful for the largest democracy in the world to be part of MOG and the third largest democracy in the World, Indonesia to be part of MOG. “This ensures that we have a representation across the globe, three different countries from very different experiences, but indeed all committed to the practice of democracy. The two countries are looking forward to send their teams over to Fiji.  Observe and evaluate the resolution of disputes through the electoral cycle including any mechanism established to hear and adjudicate election related disputes and assess whether the voter process of the Fijian Elections Office facilitated and assisted voters to exercise their rights to freely vote and whether the outcome of the 2018 Fijian General Election broadly represented the will of all Fijian voters.  The MOG will be made up of both long-term observers, who will arrive in Fiji prior to the Election date and the short-term observers, who will arrive prior to polling and stay until polling and counting have been finalised. The final number of observers and the dates of arrival and departures will be mutually decided by the Fijian Government and the relevant international partners.